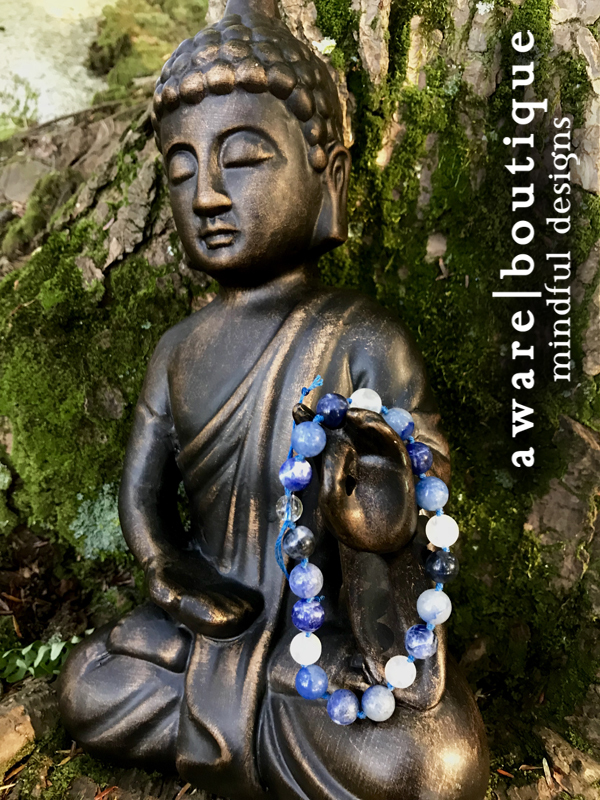 This adjustable mala bracelet is a modified version of our Aranyani mala and is part of our Earth Collection. This particular mala is comprised of Aromatic Sandalwood, with a Sandalwood sliding bead as an adjustable clasp. This bracelet has been hand-knotted with your choice of color Nylon thread for its strength and durability, especially important when working with natural stones, as their hard edges can sometimes rub against and weaken other threads such as cotton or silk. All of our malas are hand-knotted between each bead, which protects your beads should the bracelet ever break. It also helps alleviate potential damage caused by beads rubbing against each other.